Late June & early July at this point seem like years ago. But it was then that over two very full days in Milwaukee WI with the usual crew of collaborators including director Sam Macon and cinematographer Travis Auclair I was lucky enough do production design on a video for our friends Kim Krans & Jonny Ollisn who make up Family Band. Here are a smattering of iphone pictures from the shoot. Doing production design for projects like this with friends really is a dream job. Keep an eye out later this week for my photos from my trip to the Smokey Mountains for all of August documenting the End of the Worlds Fair, I'm about half way through sifting through over 3500 stills that barley captured the magic there. 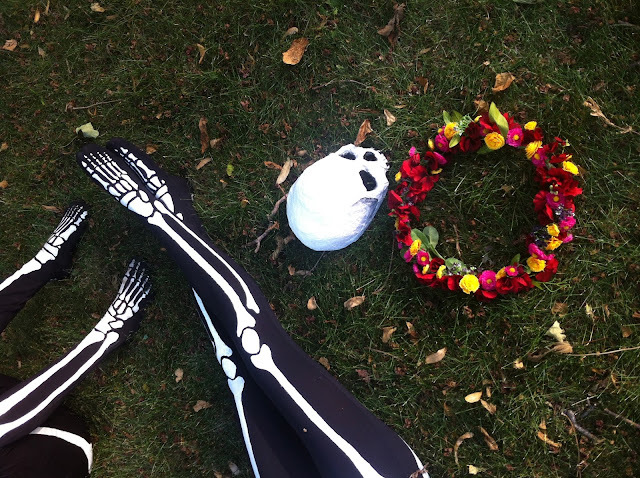 Read an interview with Kim & Jonny about the skeleton romance story unfolding here.